If you're looking for a solution to save on your heating and cooling costs, then going green with geothermal can be the answer. Cyclone Well Drilling installs vertical geothermal loop systems which take up far less space and are also much more efficient than horizontal loop systems. We coordinate with HVAC contractors to install geothermal heating and cooling systems to make your home as comfortable as possible and to save on your heating and cooling bills. Geothermal heat pumps take advantage of the relatively constant temperature of the Earth a few feet below the surface and use it as a medium for heat exchange. 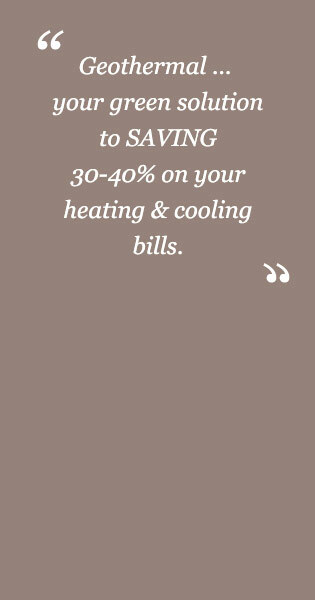 Geothermal heat pumps can both heat and cool. They typically function by running a fluid (such as water) through pipes set in the ground. During the summer, the fluid loses heat to the Earth, returns to a heat pump which draws heat from the building and gives it to the fluid, which in turn loses that heat to the Earth, yielding a net cooling. In the winter, the loop works in reverse. 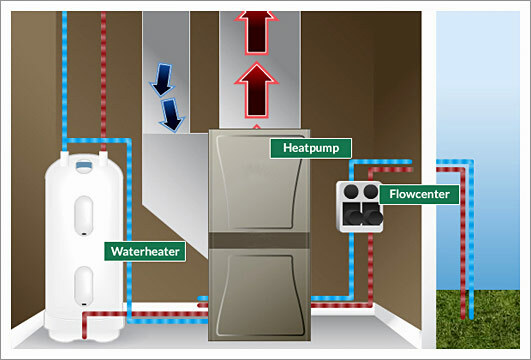 The fluid runs through the heat pump which removes heat from the fluid and releases it into the building. The fluid then circulates through the pipes and gains heat from the Earth. The main energy cost of a geothermal heat pump is electricity to circulate the fluid and run the heat exchanger. The EPA states that a properly sized and installed geothermal heat pump can save consumers 30–40% on heating and cooling bills. According to the Geoexchange, the Geothermal Heat Pump Consortium, geothermal heat pumps on average are 48% more efficient than gas furnaces and 75% more efficient than oil furnaces. 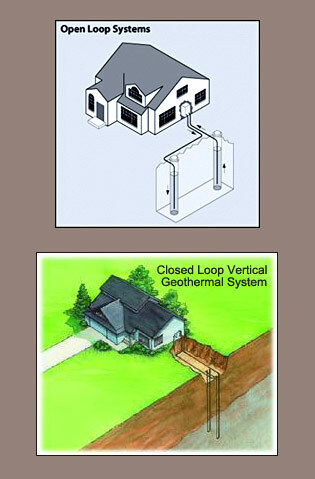 An open loop geothermal system uses ground or well water directly as the fluid that circulates through the heat pump inside the building. Once the water has circulated through the pump, it is returned to the ground through the well, a discharge well, or the surface. This type of system is typically used where there is an abundant source of water, and all local regulations and codes relating to groundwater discharge allow such a system. Pipes are buried in trenches at least four feet deep, and a fluid (either water or an antifreeze mix) is circulated through the pipes and back to the heat pump inside the building. The pipes we install are vertical and take up far less space on the property and are also much more efficient than a horizontal system.